Louisiana Department of Wildlife and Fisheries Enforcement Division agents participated in a joint enforcement patrol that resulted in two men pleading guilty to violations of the Magnuson-Stevens Fishery Conservation and Management Act. Rick Nguyen, 37, of Buras, and Hung Anh Tiet, 29, of Dallas, Texas, pleaded guilty to shark violations involving illegal finning and over the limit of sharks. Shark “finning” is an illegal practice of removing the shark’s fins, which are the most profitable part of the shark, and then discarding the rest of the shark’s body overboard. The pair were ordered to pay a fine to the National Oceanic and Atmospheric Administration (NOAA) totaling $45,000. The men were also placed on two years of probation and during which they agreed to not transfer any of their federal shark directed permits. They also further agreed that if they are determined to be in violation of any provision of the Magnusson-Stevens Fishery Conservation and Management Act during this two-year period, they will surrender all of their federal shark directed permits for a period of nine months. Lastly the men had their Louisiana state shark permits and set line licenses revoked for life. LDWF agents initially made contact with Nguyen and Tiet while responding to an anonymous complaint. Agents stopped the vessel “Lady Lyanna” in Tiger Pass located in Venice in April 2012. Agents found 11 whole sharks located on the deck and a hidden compartment in the bow of the vessel that contained 12 large sacks of shark fins totaling 2,073 fins. The bodies of the fins found in the sacks were not found on the vessel. The 2,073 individual fins represent a total of 518 sharks possessed by the two fishermen bringing the total number of sharks possessed to 529. 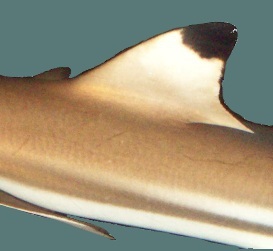 The daily commercial limit for sharks in Louisiana is 33 per vessel placing the two men 496 sharks over their daily limit. Agents participating in the case were LDWF Sgts. Adam Young and Villere Reggio and NOAA Special Agent Steve Campbell. This is absolutely horrendous! They were given a slap on the wrist! There should be severe jail time for something like this, gigantic fines in upwards of hundreds of thousands of dollars and their vessel taken away long with no fishing licenses for ever. I think what they got was the lightest sentence I’ve ever read in my life. They’re just going to keep doing it again and again and again. Does $45,000 seem a lot for a fine for somebody that sells shark fins for major money , that’s chump change to them ! We always think of the large scale shark finning operations but I guess it’s not hard to believe that we have some small scale local fisherman out there committing this crime. Glad that were caught, but it does seem like a small fine to pay, especially since this was not likely the first time. Just hope it’s the last. Save the Sharks!